Prepare even more delicious, hearty meals with a classic deep Dutch oven. This five quart, 10" deep Dutch oven will give you more space for any of your family favorite recipes. This Dutch oven piece has an image of a pronghorn etched on the lid maintaining an outdoor feel. 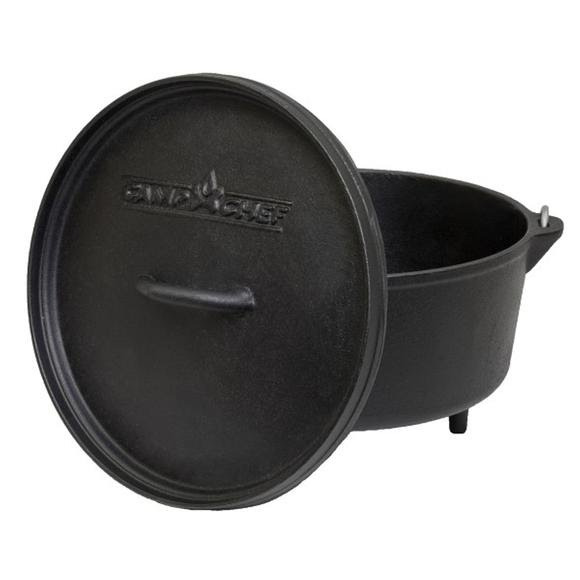 Prepare even more delicious, hearty meals with a classic deep Dutch oven. This five quart, 10" deep Dutch oven will give you more space for any of your family favorite recipes. This Dutch oven piece has an image of a pronghorn etched on the lid maintaining an outdoor feel. Part of Camp Chef&apos;s commitment to producing quality cast iron products is pre-seasoning all cast iron with its own "True Seasoned Finish" so it is ready to use out of the box.